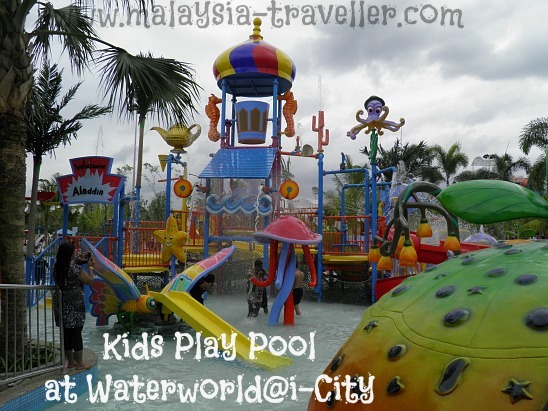 Waterworld i-City is the water theme park attached to the ever-popular i-City which is fast becoming one of Shah Alam's and Selangor's top tourist attractions. 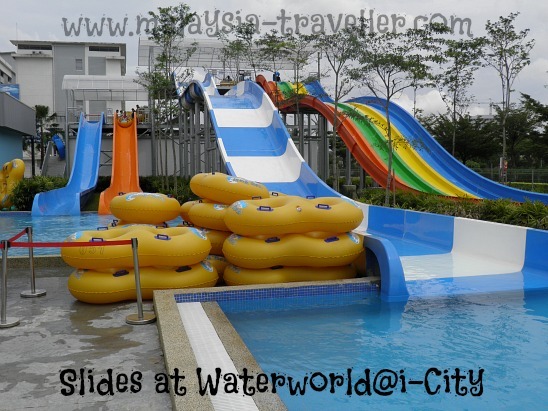 Waterworld @ i-City is a water theme park with a vortex ride called the Ultimate Tornado, the first spiral slide of its kind in South East Asia. Here is my review of the new facilities. After riding this funnel waterslide you will know how water feels when it gushes out the tap and swirls down the plug hole. This short video will give you an idea of what to expect. You have to collect a 4-seater rubber tube and carry it up to the top of the tower from where you get a good view of the scary funnel interior. You must have four people in your group to go on this ride. If you do not have enough people it is easy to pair up with strangers. Friends and family can wait for you on the observation platform and take photos of you screaming as you disappear down the plug hole. The actual ride only lasts about 30 seconds but that is enough! Note: Weight restrictions are enforced on this ride and you will be weighed on a set of bathroom scales before being allowed to enter. You must weigh at least 35kg and not more than 85kg. Rainbow Racer Slides. This is a set of 4 slides where you can race against your friends lying face down on a rubber mat which is curved at the front end with hand grips. Minimum weight is 40kg and riders do not go very fast unless they are heavy. Family Raft Slide. Again you need 4 people to go on this ride which uses a 4-seater rubber tube. It's fun! Kiddies' Twin Slides. These are a tamer pair of slides where younger ones can enjoy a slide on a tube. In another pool are the Spiral Slides. One of these is open and the other is an enclosed tube. Both provide a thrilling spiral ride on two-seater tubes. Suitable for adults and children. 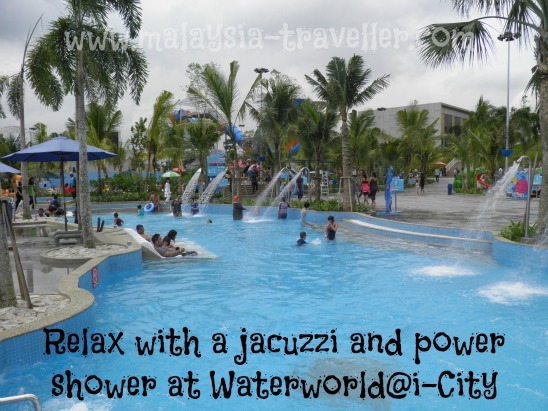 Like most water theme parks in Malaysia, Waterworld i-City has an artificial wave pool for bobbing up and down, either on a tube or without. There is also a lazy river where you can enjoy being swept along with the current on a tube. The course is not as long as in some other parks. Something different here is a pool with very powerful jet showers, jacuzzi outlets and some under-the-surface lounger chairs where adults can relax for a while. A colourfully decorated Aladdin-themed pool with fun activities for little kids completes the selection of water attractions in Waterworld i-City. 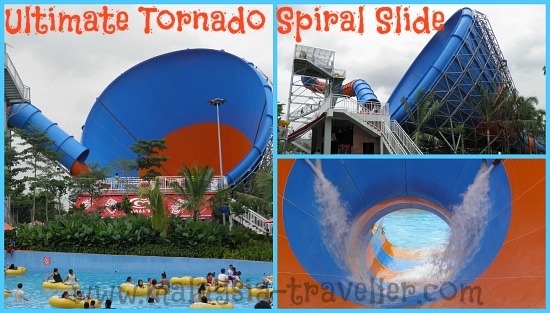 The Ultimate Tornado ride is fun and something new for Malaysia but it is dwarfed by Sunway Lagoon's Vuvuzela vortex ride. It is clean, tidy and new. 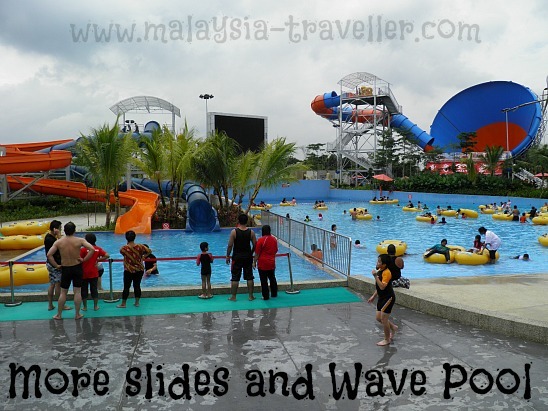 The lifeguards are vigilant and enforce the rules unlike in some other Malaysian waterparks. Can combine a visit with Snowalk and other i-City activities. The park is fairly small and apart from the Tornado, the slides are nothing special. Not many places to sit and eat. Overall, my family rank this water park as No.5 in Malaysia after Sunway Lagoon, Lost World of Tambun, A FamosaWater World and Desa Water Park. 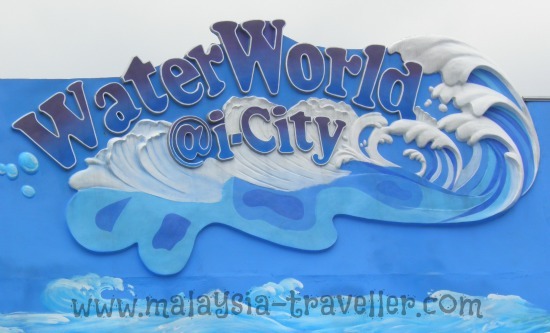 i-City uses a cashless system for entry to all their attractions including Waterworld. Reloadable i-Cards have to be purchased. 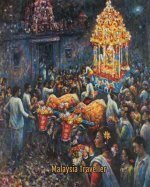 100 points cost RM 100. There is a RM10 refundable deposit for each yellow watch wrist band (i.e. per person). You can top-up the watch wrist band to pay for food and beverage purchases and locker rental. This can be done inside the park so no need to decide straight away. Any surplus balances on the wrist band are refundable at the exit. 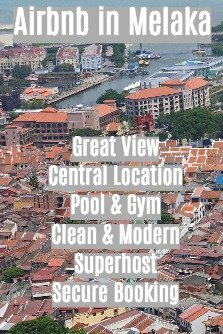 Locker rental RM5 + RM5 refundable deposit. 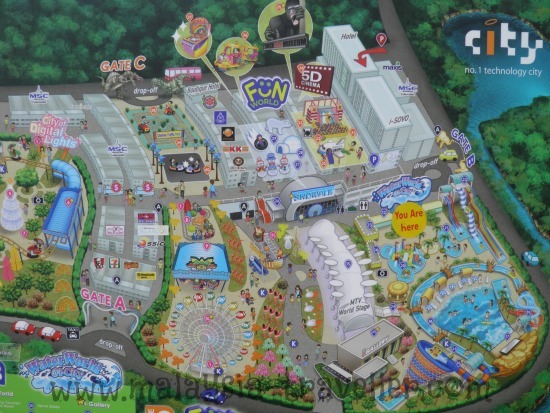 For details of other i-City attractions and a map of how to get there, click here.